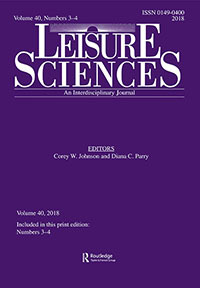 Although the paradigmatic discussion has encouraged leisure scholars to critically examine their inquiry assumptions (Parry, Johnson, & Stewart, 2013), Henderson (2011) and Neville (2013) provided critical comments from pragmatist perspectives on the dominance of the paradigmatic framework in the leisure literature. However, it remains unaddressed what it means to adopt pragmatism for leisure researchers who undertake empirical research. The purpose of this article is to offer a starting point to apply pragmatist discussion and pragmatism to empirical leisure research projects. I first describe implications of John Dewey’s pragmatism for an empirical inquiry while contrasting them with ontological and epistemological concerns in the paradigmatic schema. Second, I critically reflect upon my previous leisure research project from the Deweyan perspective. I identify several research stages wherein pragmatist leisure scholars should be aware of implications of their inquiry philosophy, including research question formulation, research design and methodological choice, and research outcome report.